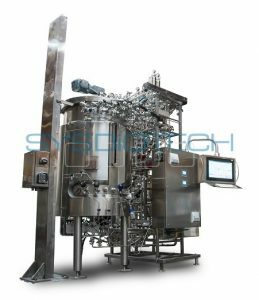 High turning tubular centrifuge. The integrated direct drive gives a maximum turning of 60.000 rpm a relative centrifugal force of 80.000*g will be achieved. All parts in touch with the product are made from steel grade 1.4571 (316 TI). The rotor nominal content is 250 ml. 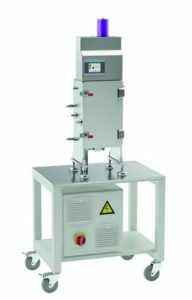 CEPA Z11 centrifuge is used for clarifying liquids. The housing is completely stainless steel. All parts are welded tightly. Door stop is at the right side, it is sealed by a round cord. The foot bearing is grease-free with a guiding ring made from glass-reniforced PTFE. It has to be replaced, according to the rotor load and the unbalancing, from time to time. Due to the high turnings of the Z 11 it may be necessary to replace it rather often. Part of the secure operating is the electrically locked door. The lock prevents the opening of the door as long as the rotor is turning. Also the correct position of the drive is monitored electronically. 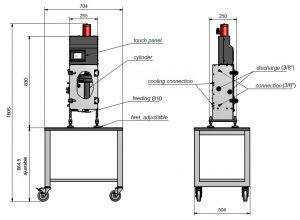 The integrated standstill device controls both locks and tracks the frequency converter for checking the maximum turnings of the rotor. The complete operating is done at the 3,5″ touchscreen control panel. It is integrated in the upper part of the machine’s front. Here all parameters and data can be entered in up to 3 user levels with separate passwords. Acceleration and deceleration ramps can be adapted to some degree. The speed is also adjustable. For security reasons this can only be done in a limited range set by the manufacturer. The voltage is 230 V, 1-phase, 50 Hz. The electrical cord length is 1,5 m with a DIN 49441 plug. 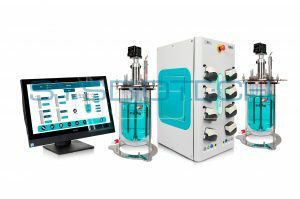 • The machines operating range for the liquid is between 50 ml/min and 500 ml/min. The interface of all external connectors are at the housings outside. All connectors for the product itself or the cooling liquid are made with hoses and clamps. Every single connector is individually mounted. 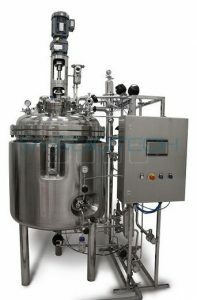 All connections have to be made from flexible materials due to vibrations of the centrifuge during operating. 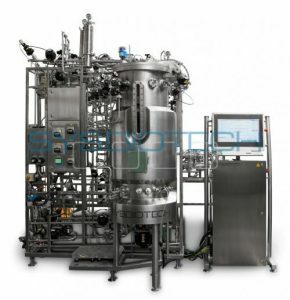 Comes with various tools for operation of the centrifuge, as well as a cleaning device. The control cabinet is separated from the centrifuge. The cables are 3 m long. The color of the control cabinet is RAL 7035 light grey.